A simple village expansion for Ivarstead. Moved Golldir into an alias controlled by the mod so that other mods don't usurp his AI and cause him to remain stuck at the tomb. Removed edits to his NPC record and added dependency on USSEP in order to maintain the necessary unique flag required for the alias to work. This should result in less compatibility issues. 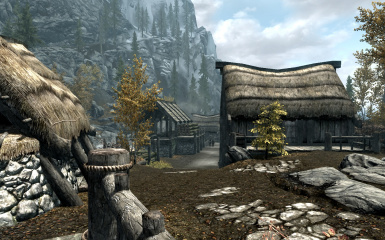 Ivarstead always seemed like it should be more to me. There are a number of people living in the inn on a permanent basis. 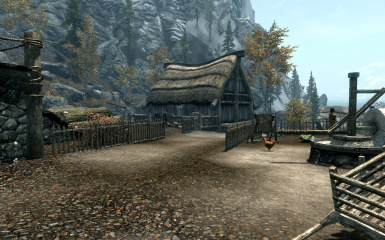 While the game indicates it is a village in decline due to fewer and fewer visitors coming through, it's very clear that those who are in the inn now are permanent residents to the village who have fairly strong ties they can't just cut. Since it would have been lame to throw down a bunch of empty or destroyed properties, it felt only right that 3 new houses should be built for those residents to occupy. Drop the Ivarstead.esp and Ivarstead.bsa files into your Data folder. 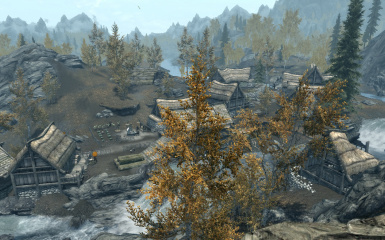 To remove the mod: Delete the Ivarstead.esp and Ivarstead.bsa files from your Data folder. Then reload your game as usual. 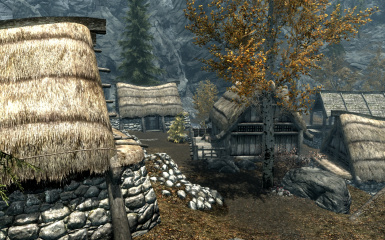 Will not be compatible with other mods that change the Ivarstead exteriors.